Peer review has been foundational to the PEN® System since it was first conceived by Dietitians of Canada in 2005. Did you know September 19-26, 2016 is Peer Review Week? Peer Review Week is a global event recognizing the role of peer review in scholarly communications. Lead by ORCID, an organization connecting research and researchers, Peer Review Week showcases the role of peer review in maintaining scientific quality, in bridging together individuals, institutions and organizations, and the value for scholarly communications (1). The theme for this year’s Peer Review Week is “Recognition for Review”, exploring how to best recognize those who participate in review activity, whether it is through publishing, reviewing grants and conference submissions or promotion and tenure (1). The PEN® Team applauds ORCID for its leadership in drawing attention to peer review. Peer review is an integral and valued part of the PEN® content development process, outlined here. We applaud professionals around the world, who value, create and participate in peer review. We hope that you too will recognize review. For readers wishing to participate in Peer Review Week via Twitter, follow the official Peer Review Week 2016 hashtag #RecognizeReview. How search results in PEN compares to 4 other databases. 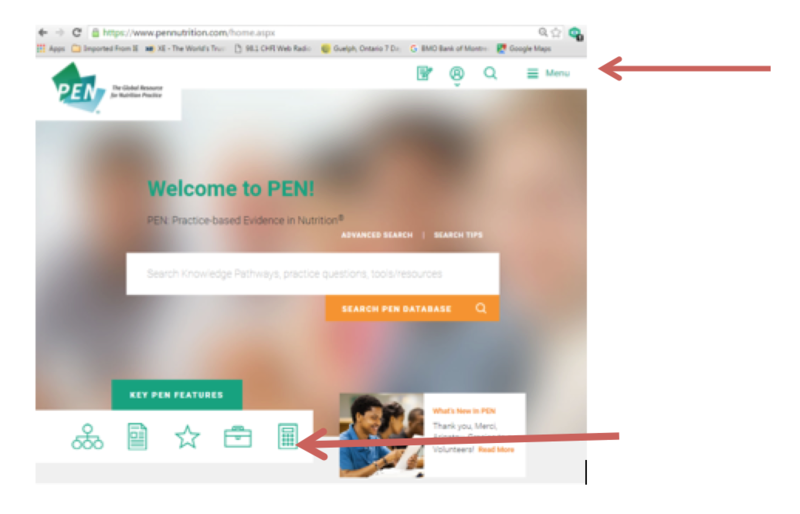 How Do I … find and use new calculators and professional tools available in the PEN® System? What is the risk of an allergic reaction for individuals with latex allergy being served food prepared by dietary staff wearing latex gloves? Does the consumption of a low protein diet increase the risk of protein energy malnutrition in individuals with diabetes and nephropathy? In individuals with diabetes, does the consumption of polyunsaturated fatty acids affect the progression of nephropathy? Is weight loss an effective strategy to improve kidney function in individuals with diabetic nephropathy? Vitamin D Fortification of the Food Supply: Are Changes to the Existing Vitamin D Policy Recommended? In individuals with type 2 diabetes does treatment of hypertension result in the reduction of diabetic nephropathy? In individuals with an allergy to latex which foods are liable to provoke allergic symptoms? Which nutrition screening tools are effective for identifying malnutrition or risk of malnutrition in older adults independently living in the community? Which nutrition screening/assessment tools are effective for identifying malnutrition or risk of malnutrition in frail older adults who are institutionalized or living in nursing homes, care homes or long-term care (LTC) homes? What dietary factors reduce the risk of gallbladder disease? What level of fat restriction is required before surgery for people with gallbladder disease? Is a fat-restricted diet needed for individuals with gallbladder disease after surgery? What effect does a low protein diet have on the progression of nephropathy in individuals with diabetes? Which predictive equation is the most accurate for assessing resting energy expenditure (REE) (also referred to as resting metabolic rate [RMR]) in adults with a normal weight and with overweight/obesity? What is the best predictive equation for assessing estimated energy requirement (EER) or total energy expenditure (TEE) in adults with overweight/obesity? What interventions are beneficial for preventing bone disease in adults with chronic kidney disease (CKD)? In individuals with diabetes does the source of dietary protein effect the management of nephropathy? How is nutritional status and growth assessed in children with chronic kidney disease (CKD) including children not receiving dialysis and children on dialysis therapy? What are the energy and nutrient requirements (calories, protein, vitamins and minerals) of children with chronic kidney disease (CKD) including children not receiving dialysis and children on dialysis therapy? What are fluid and electrolyte requirements (i.e. fluid, sodium, potassium) of children with chronic kidney disease (CKD) not undergoing dialysis and children on dialysis therapy? Is a protein-restricted diet effective in delaying the progression of end stage kidney disease (delaying the start of dialysis) in children? Other External Calculators and Tools. Nutrition Screening and Assessment Tools include direct links to validated screening tools for malnutrition/risk of malnutrition and assessments to use with seniors in institutional and community settings. Further information and evidence can be found in the links to PEN Practice Questions. Additional screening and assessment tools for adults and for seniors in acute care settings will be added to this section in PEN over the coming months. All of these calculators and tools are found within related PEN knowledge pathways. To find PEN calculators, choose the Calculator icon from the home page, or Calculators from the main menu. I have long wondered about the validity of the U.S.A.’s consumer advocacy organization, Environmental Working Group’s (EWG) ‘Dirty Dozen’ produce annual reports. The Dirty Dozen is a list singling out produce with the highest pesticide loads, and have included strawberries, apples, nectarines, peaches, celery, grapes, spinach, tomatoes, cherries, bell peppers, cucumbers and cherry tomatoes. After a close review of the Canadian government’s pesticide residue results for the PEN® Organic Food (OF) pathway, I noticed a mismatch between potential health concerns from government tests and EWG reports. Perhaps you are like me and find a main reason friends or colleagues choose OFs are for food safety and more specifically the absence of herbicides, pesticides and GMOs. The annual release of the ‘Dirty Dozen’ reinforces the idea that pesticide residues lurk in commonly consumed produce. What is the missing logic for the ‘dirty dozen’? The EWG does not use the known toxicological endpoints of pesticides such as the Reference Dose (RfD), also called the acceptable daily intake (ADI)1. The EWG ‘dirty dozen’ are created using the U.S. Department of Agriculture (USDA) crop pesticide residue reports. The USDA food pesticide sampling and testing is based on top products consumed by infants and children, meeting agriculture export standards and other identified needs of the Environmental Protection Agency (EPA) (2). These residue reports were never designed to be numerated to conclude the ‘highest’ pesticide exposure sources from specific foods, nor were they intended to be used as a measure of toxicological exposure. Consumers can gain perspective on pesticide residues in foods through the U.S. Alliance for Food and Farming’s online calculator. This calculator estimates the amount of food required to reach adverse health problems with the highest level of pesticides ever reported on U.S. produce (4). To put this in perspective, for their body size, a child would need to consume 181 servings of strawberries a day to reach the pesticide RfD. For an adult male, 635 servings of strawberries would be needed (4). Choosing OFs for food safety reasons does not hold up to scientific and mathematical logic. Consumers with good incomes can afford OFs and may wish to include them for other reasons such as perceived taste (5). 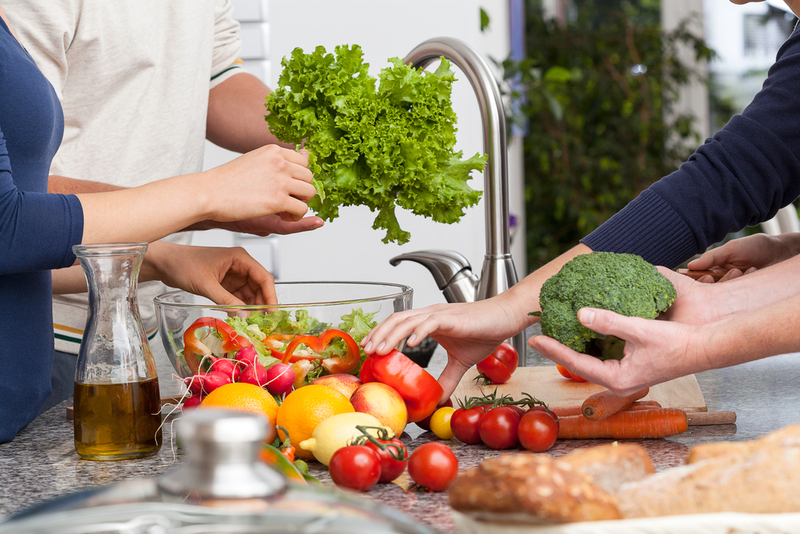 However, there are some studies indicating lower income families also perceive OFs to be healthier for food safety reasons (6, 7). It’s possible some families choose less produce because of food safety concerns rather than purchase the equally healthy conventionally-farmed produce (7). One of the reasons consumers may feel uneasy about eating foods which may have pesticide residues is a potential cancer risk. There is no human evidence to support this concern. Teasing out food pesticide residues and impact on health is complex because we may be exposed to pesticides in multiple ways such as controlling insects in our homes, yards and pets as well as very small levels from food (8). Reiss, Johnston, Tucker et al have estimated 20,000 Americans per year would develop cancer from not consuming adequate vegetables and fruits. In comparison, an estimated 10 cancer cases per year would be attributed to consuming produce with pesticide residues which have levels reported by the USDA pesticide residue program for pesticides with carcinogenic potential (9). The message that OFs, even select OFs, are safer than conventional farmed produce is a poor public recommendation. As dietitians, we should support and encourage our respective governments to continue high quality pesticide residue testing (i.e. appropriate quantity and frequency). Recognizing that the science may evolve as sciences do, we should support our governments to lead research on food residues for potential health issues now and into the future. Support strong systems so food is safe for all of us, no matter our income. Reference Dose (also called Acceptable Daily Intake or Maximum Residue Limits) is an estimate of the amount of chemical a person could be exposed to on a daily basis throughout their lifetime that is likely to be without an appreciable risk of harm (1). In the U.S.A., each pesticide approved for use by the U.S.A. The Environmental Protection Agency has established levels which may remain on food. Each country has established reference doses (or equivalent) and are 1/100th to 1/1000th the level demonstrating health concerns identified in animals (10). The lower percent Reference Dose (RfD), the lower risk the pesticide residues would cause a health concern. Based on the tiny RfD values reported (0.01% or 2% at the highest), the dirty dozen list is absurd. USDA Agriculture Marketing Service. Pesticide Data Program: Annual Summary, Calendar Year 2014. 2016 [cited 2016 August 15]. Available from: https://www.ams.usda.gov/datasets/pdp. Dietitians of Canada. Are there taste differences between organic and conventionally farmed produce? In: Practice-based Evidence in Nutrition [PEN]. 2015 October 16 [cited 2016 August 15]. Available from: http://www.pennutrition.com/KnowledgePathway.aspx?kpid=11365&pqcatid=146&pqid=11620 Access only by subscription. Rodman SO, Palmer AM, Zachary DA, Hopkins LC, Surkan PJ. 2014. “They just say organic food is healthier”: Perceptions of healthy food among supermarket shoppers in southwest Baltimore. 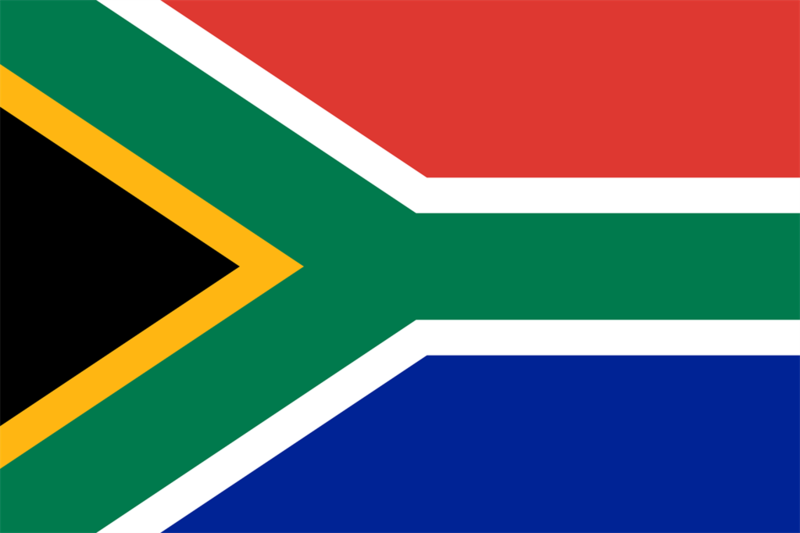 Culture, Agriculture, Food and Environment 36(2):83-92. Huang Y, Wuchner B, Thomas, S, Park E, Edirisinghe I, Burton-Freeman B. 2013. Assessing issue awareness and messaging on purchasing behavior of fresh fruits and vegetables in low-income populations. The FASEB Journal 27(1 Supplement):1065.21, 1065.21. Dietitians of Canada. Are consumers who consume conventionally produced (sprayed/treated with pesticides/herbicides) grains, fruit and vegetables at risk for health issues? In: Practice-based Evidence in Nutrition [PEN]. 2015 October 17 [cited 2016 August 18]. Available from: http://www.pennutrition.com/KnowledgePathway.aspx?kpid=2536&pqcatid=146&pqid=17024 Access only by subscription. Dietitians of Canada. How are safe or maximum levels of pesticides/herbicides in foods determined in Canada? In: Practice-based Evidence in Nutrition [PEN]. 2012 July 31. [cited 2016 August 19]. Available from: https://www.pennutrition.com/KnowledgePathway.aspx?kpid=2536&trcatid=38&trid=17061 Access only by subscription. What do you read while on vacation? One of our Evidence Analysts, Dr Tanis Fenton, recently read the book Diet Cults: The surprising fallacy at the core of nutrition fads and a guide to healthy eating for the rest of us, by Matt Fitzgerald. While we don't normally "do" book reviews, when one of our evidence analysts offered to provide a review of one of the books from her summer reading list, we couldn't refuse! She said some of the information in this book could help dietitians and other health professionals see the latest popular fad diets for what they are. Astute PEN® users will know that Dr Fenton is action-oriented when it comes to communicating about nutritional science. She has responded to misleading nutrition information in a lay publication, has written about the problems with nutritional science with a goal to clarify when publications create unnecessary confusion and alarm. She has helped clarify the science behind detox diets and cleanses, choline and cardiovascular disease and the Popular Paleo Diet. Cardiovascular Effects of Exchanging Saturated Fat with an Oil High in Linoleic Acid – Not all Vegetable Oils are Created Equally. Got Milked: Evidence-based or Underlying Bias? A Book Review. She is known for a growth chart she developed for preterm infants and her meta-analyses on the alkaline diet hypothesis. 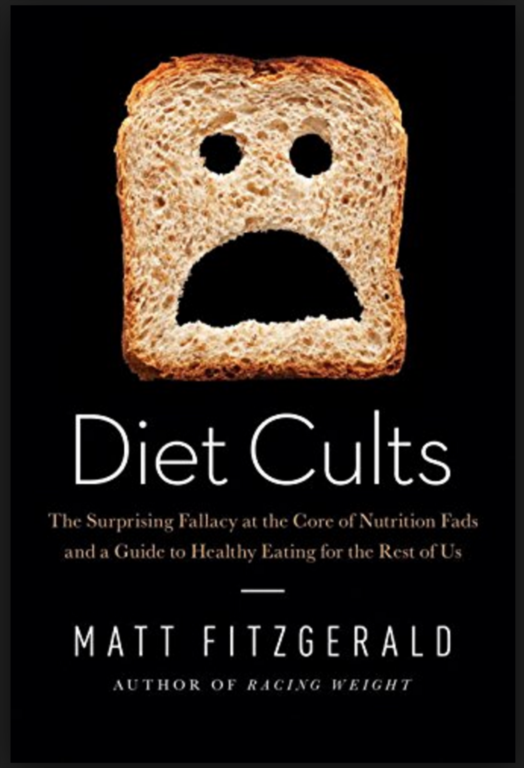 We are pleased to share Dr Fenton’s insights into the book Diet Cults: The surprising fallacy at the core of nutrition fads and a guide to healthy eating for the rest of us, by Matt Fitzgerald. In this book, Fitzgerald pointed out how modern fad diets are each promoted as the “One True Way” to eat for maximum health. He examined several diets, including paleo, Atkins, gluten-free, as well as the extreme labels of “super” foods (protein, coffee, chocolate, wine) and “bad” foods (coffee, chocolate, wine, potatoes, sugar, gluten), as well as fasting. He has a full chapter on the history and marketing of sports drinks. Is there “one true way” to eat? Fitzgerald cites some literature, quotes nutrition scientists, and explains why these diets are not actually the “One True Way”. Followers of these diets benefit not so much from superior nutrition intakes, but from group belonging, feelings of superiority, and an actual self-identification from following what they believe is the only healthy way of eating. The persuasive diet cult promotions are focused solely on exaggerated health claims and are completely dismissive of the eating experience and pleasure of foods. Fitzgerald describes how the diet promoters are not nutrition professionals, but are predominantly influenced by personal experiences, are often compulsive personalities, and how their messages are not balanced or scientifically tested. A point that Fitzgerald makes is that there is no “One True Way” to eat for optimum health, but rather, humans are adaptable and there are many ways to adapt to a “multiplicity of diets”. He goes on to say that our current food environment has an abundance of low cost, tasty, less-nutritious foods, which likely is part of the etiology of less than desirable nutrition status in the population, so some care is needed to select a nutritious diet. This book well describes the many pressures, influences, and common expectations that are at play about food in our culture and media. Fitzgerald provides an excellent understanding of what is going on for people who follow these diets, and then he provides a way to move forward, to achieve healthy eating without following these fads. He is supportive of evidence-based nutrition science and nutrition recommendations. Fitzgerald’s recommendations to navigate our modern food environment he playfully labels: “agnostic healthy eating”. This plan prioritizes more nutritious and under-consumed foods (especially vegetables and fruit) and encourages the less nutritious foods be eaten infrequently or not at all, without demonization. Advice similar to most dietitians. This book is well-written and easy to read. I consider it a must-read for dietitians and for everyone currently involved with food and nutrition, and those who work with people who feel influenced by, or are involved, in diet cults. While this book is not the place to go for in-depth nutrition information, it describes the history of the origins and the personalities behind the diet cults. It helps dietitians and consumers to be aware of these fad diet/diet cult pressures and promotions and messaging that a diet is the “One True Way”, so as not to be influenced ourselves by the many diet cults and their promotions. 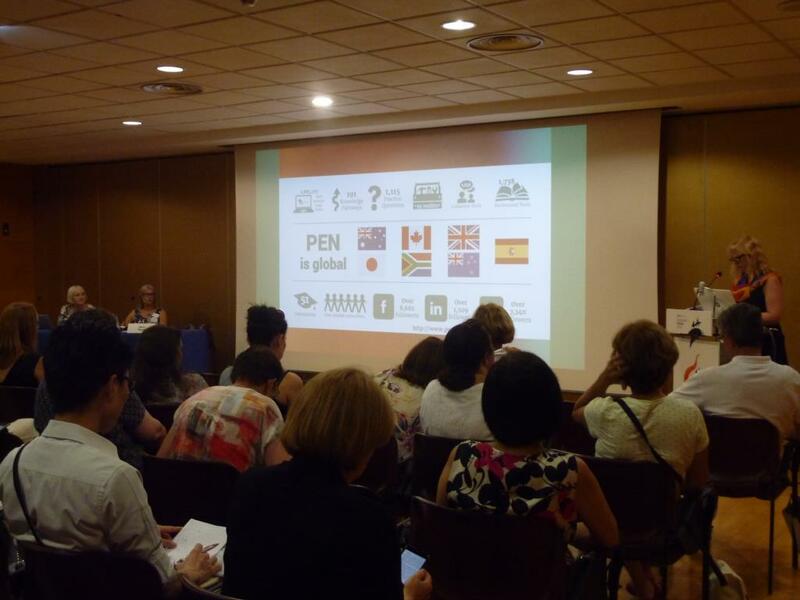 Three dietetic associations, seven countries, one common goal – introduce PEN® and its evidence-based process to dietitans and nutritionists of the future. Below is how PEN is being used around the world. Read on to find out…how educators/interns are enhancing evidence-based dietetic practice one click at a time. Here’s how evidence-based nutrition and dietetics is being enhanced around the world and what we learned along the way. Universities want their students to stay on the leading edge of dietetic practice. 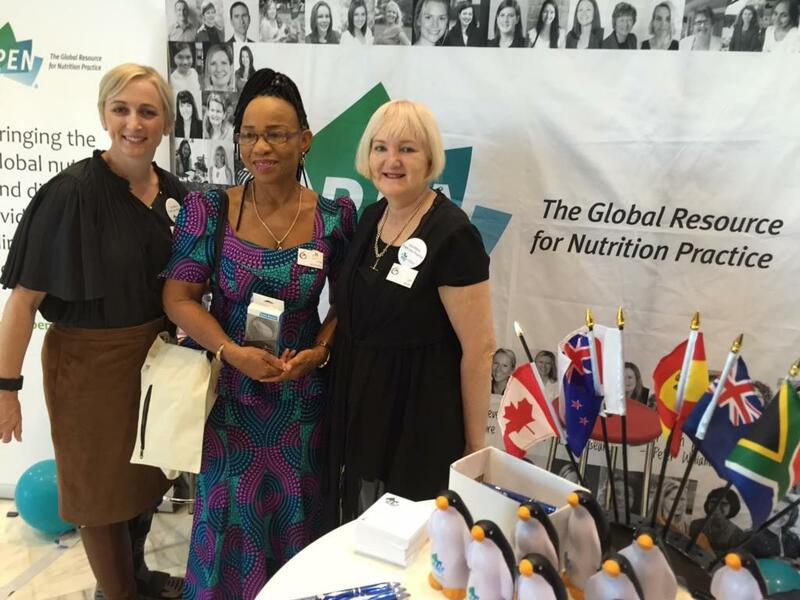 Around the globe, universities have been receptive to meeting with national dietetic associations to discuss evidence-based decision-making and tools to support practice. PEN doesn’t just provide the evidence, it provides client education tools that are consistent with the evidence and that consider health literacy and cultural competence. “Visiting the UK universities was a very positive experience. To provide PEN engagement I often referred back to my own PEN experience as a dietetic student. I showed how PEN can help with coursework and assignments and obviously on placement when they will get asked lots of questions from patients and their supervisors/dietetic team. I’d also do a practical demonstration and run through a Knowledge Pathway so students saw the different sections, how to filter by country for country specific tools and resources, why these are helpful and how they support dietetic practice.” describes Sammie Gill, BSc (Hons), R.SEN, RD, PhD British Dietetic Association Policy Officer (Evidence-based Practice). PEN® can be an evidence-based tool for universities with accredited dietetics programs. Textbooks, books – all go out to date – and have a short “shelf-life”. Giving students access to a decision support tool that is “living” helps to role model the realities of dietetic practice. Universities can sign up for a PEN license to give their students access to an evidence-based tool to support dietetic practice. “This year DAA will be running a webinar for the university professionals teaching them how to get the most out of PEN® in the university setting.” notes Stapleton. “BDA is in the process of developing a separate quick guide with screenshots on ‘how to navigate your way around PEN’.” shares Gill. Through exposure to PEN as part of their training, students have an opportunity to be both “consumers” of PEN and contributors to PEN as part of their degree. 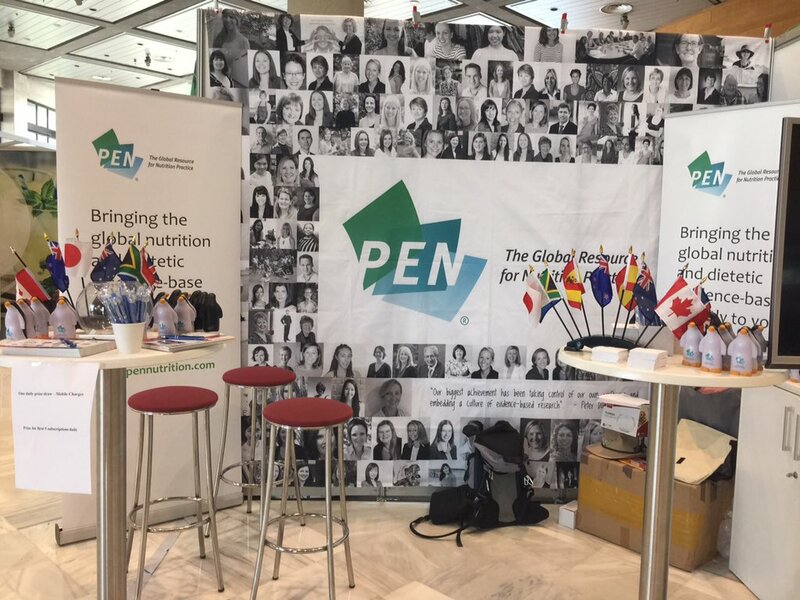 “Since PEN® was launched 10 years ago, many Canadian dietetic students, both undergraduate and graduate, and dietetic interns have developed content for PEN®. Some of the content developed can be seen in the PEN® system today with all who participated in the various assignments learning research skills and meeting research competencies by using the PEN® processes. 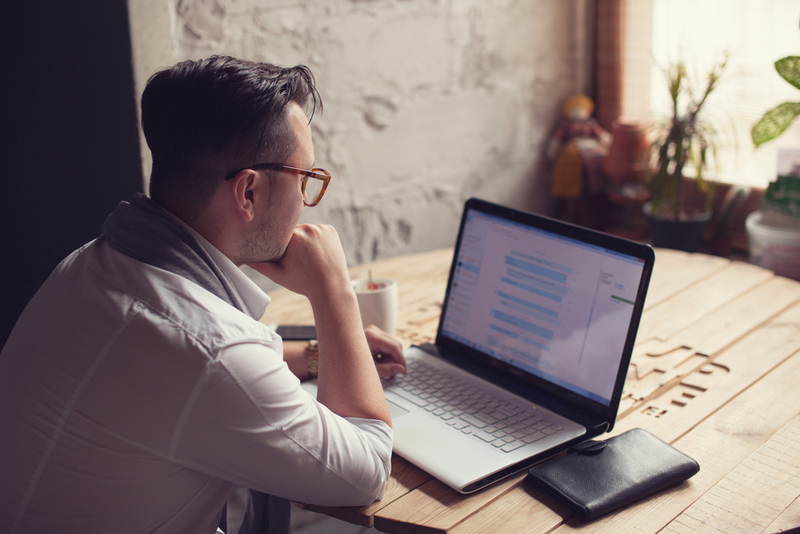 In addition to assignments in core courses, developing PEN® content can be a great Applied Master’s project or a self-directed study course.” says Beth Armour, MEd, PDt, Dietitians of Canada, PEN® Content Manager. Universities have incorporated PEN into the curriculum helping to embed PEN as part of normal dietetic practice. Much can be learned from PEN about evidence-based dietetic practice – the evidence-based cycle, asking questions, learning about research design, etc. Students are exposed to multiple learning experiences in their training. Some PEN student assignments have been successfully incorporated into courses and internship/practicum activities to meet research competencies. And it is not just students gaining credit. Educators and students are recognized for their contributions to PEN by national dietetic associations! “In Canada we have created the PEN Achiever Award and our first recipients were a seasoned educator contributor and a former student contributor who were honored for their ongoing and exemplary contributions to PEN." shares Armour. Learn more about the award and our winners here. DAA has two PEN awards which are described in this issue. Universities have access to supportive tools and resources on PEN to help with educating students in the evidence-based process. PEN® Prezi Resource - the newly updated Prezi is available for students or anyone interested in a quick view of the highlights of the PEN® system: The PEN® System. A tool for your career! If you have feedback on the Prezi you can submit it via email here. PEN® Training Materials and Assignments - there are a number of useful resources on the PEN® Training Materials page of the PEN website. The PEN® Author and Reviewers Resources section has many resources, including modules on the PEN® evidence-based process, appraising the literature, study designs and coming later in 2016 a new module on the PEN® GRADE process. PEN® Student Assignment Guide -this guide gives ideas for incorporating the use of PEN® and PEN® processes into a variety of assignments. Many have been used successfully in dietetic education programs. We encourage you to reach out to us if you would like more information on how PEN® can support educational processes of dietetic students and interns, please submit your request to PEN® Contact Us. How did a dietitian go from being trained in Nutrition in Ireland, to researching in Dietetics in England to working in Paediatrics in New Zealand? What di d she learn along the way about dietetic practice? The first thing you should know about me is that I never intended to be a great traveler, let alone be involved in research on the other side of the world! I have learned that some of the greatest adventures we experience are those we never intended to embark on. My journey started as a wide-eyed Irish student with a passion for nutrition and no sense of direction about where to apply myself. In my third year of university I found my inspiration; I was diagnosed with Type 1 Diabetes and my life came overwhelmingly into focus for me. 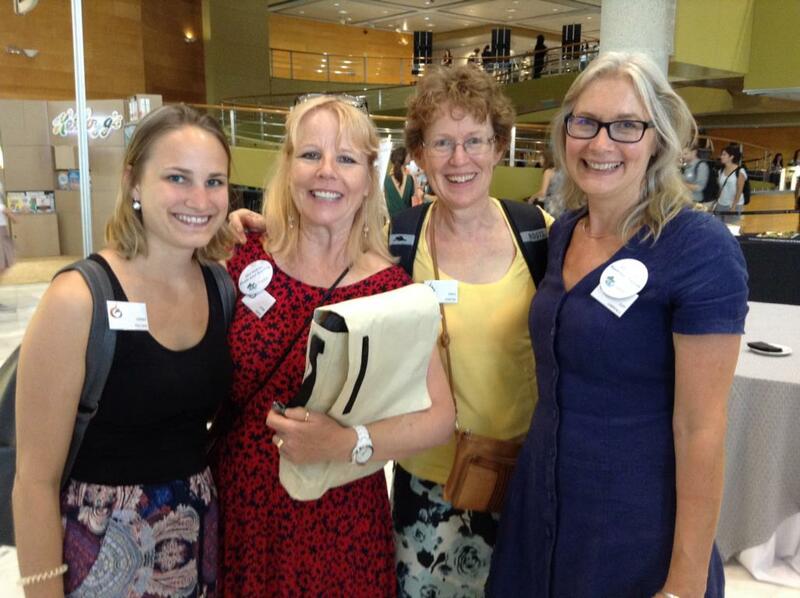 This led me on my first adventure – to London to complete an MSc in Dietetics at King’s College London. It was here that I was introduced to “evidence-based practice”, the famous term that we dietitians quote as being integral to our practice. We emphasize it as a crucial element of our job and yet only 5%(1-4) of dietitians are involved in creating the evidence -base that we all look to for support when treating patients and often as justification of our jobs in today’s statistics-focused environment. Lesson learned #1: Be a contributor to the dietetic evidence base. It was during my MSc that I was first motivated to be at the forefront of creating the evidence- base that we all take for granted. 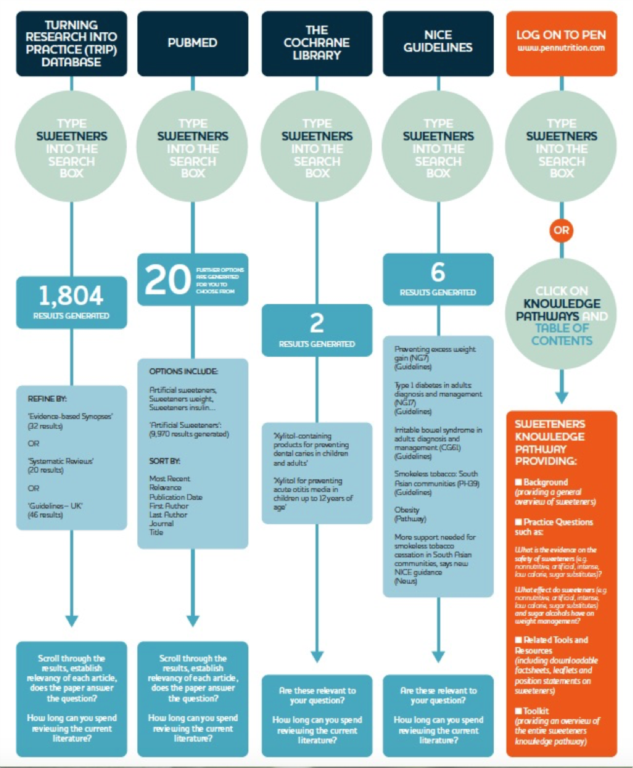 As part of my MSc thesis project I had the opportunity to work with the British Dietetic Association (BDA) to update the dietary guidelines for Irritable Bowel Syndrome (IBS). I systematically reviewed papers for seven research questions and collaborated with inspirational dietitians to help write the research paper that was subsequently published in the Journal of Human Nutrition and Dietetics (JHND). Following the acceptance of these IBS guidelines with JHND, our team had the opportunity to work with the PEN® System* to further encourage the research to travel and reach a greater audience. This experience introduced me to research on a grand scale and the degree of influence it can have on individual practice all over the world. Lesson #2: Share your research to help with knowledge transfer. I had already dipped my toe into research during my undergrad in Ireland while writing my thesis on the effect of vitamin K on glucose homeostasis and had all but written research off. I have now learned that “research” encompasses a wide variety of areas. While personally I didn’t enjoy lab-based research, I found I excelled at systematic reviews and guideline development. Lesson #3: One size certainly does not fit all when it comes to finding dietetic career paths. It’s about finding where your strengths lie and how best you personally can contribute to the dietetic field. Upon finishing my MSc, I eagerly joined the working world as a dietitian in London. Nine months in, an opportunity arose for me to become a Gastroenterology Dietitian. I enjoyed this complex and fast-paced role but another change was shortly in the cards for me. I did what every mother warns their daughter’s about and moved half-way across the world to New Zealand for a boy! I could never have predicted that this move would open new and exciting doors in nutrition and dietetics in the way it did. Research indeed can be extrapolated internationally, but just as importantly research can help shed light on effective dietetic practice on the local populations you work with. I am currently working in New Zealand as a Paediatric Dietitian in a family-based childhood obesity intervention service. This service has been involved in a 24-month randomised controlled trial(5) aimed at Maori whānau (families) and those most deprived in the Taranaki region. While living in London, which is a hub of all things exciting and multi-cultural, I got swept up in a love of new cultures. Being part of this study has granted me an opportunity to learn from and work with people from Maori and Pacific Island cultures. However, the drawback of working with these distinct cultural groups is that the international evidence which we usually base our practice on cannot be easily extrapolated to these indigenous populations. The great benefit of this research is the findings from the study will impact directly on the patients we treat and we can tailor the future service to best suit the needs of our local patients. Lesson #4: Think global, act local. Travelling and working in such different environments and cultures has shaped me both personally and professionally and is something I would encourage other dietitians to explore. 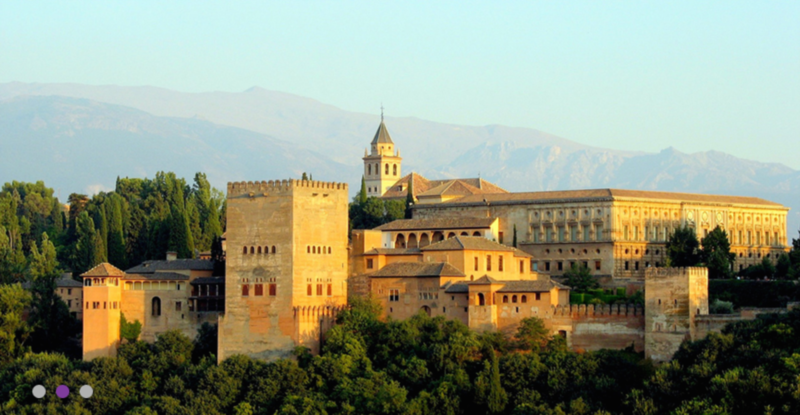 However, there are certain realities of travelling as a dietitian that are unavoidable. I have my qualifications recognized in the three aforementioned countries as well as in Australia. On top of the cost there are also exams that are compulsory in certain countries. Personality traits and skills such as resilience, positivity, organization and being pro-active are highly valuable when pursuing registration abroad. My favourite poem has always been Robert Frost’s “The Road Not Taken”. This poem encourages making bold choices, exploring and bravery. Travelling has opened doors to amazing friendships, inspiring mentors, challenging professional opportunities and life-changing experiences. Learning #5: Keep your mind open, approach your career boldly and bravely. * The IBS content will be available in the PEN® System this fall. Stay tuned! Dietitians New Zealand. Dietitians Health Workforce Survey. 2013. Bryk J, Kornblum T. Report on the 1999 membership database of the American Dietetic Association. American Dietetic Association. Journal of the American Dietetic Association. 2001;101,8. Brown L, Capra S, Williams L. Profile of the Australian dietetic workforce: 1991–2005. Nutrition & Dietetics 2006; 63: 166–178. The Dietitians of Canada. The Dietitian Workforce in Canada: A meta-analysis report. March 2011. Dietitians around the world have similar practice-based questions and face similar challenges in trying to stay on top of emerging evidence and nutrition research. Three dietetic associations, Dietitians of Canada, British Dietetic Association and the Dietitians Association of Australia, collaborated to create Practice-based Evidence in Nutrition® (PEN®), an online nutrition knowledge database, offering evidence-based answers to dietitian’s practice-based questions. Peer review is an integral and foundational part in the PEN® content development process. 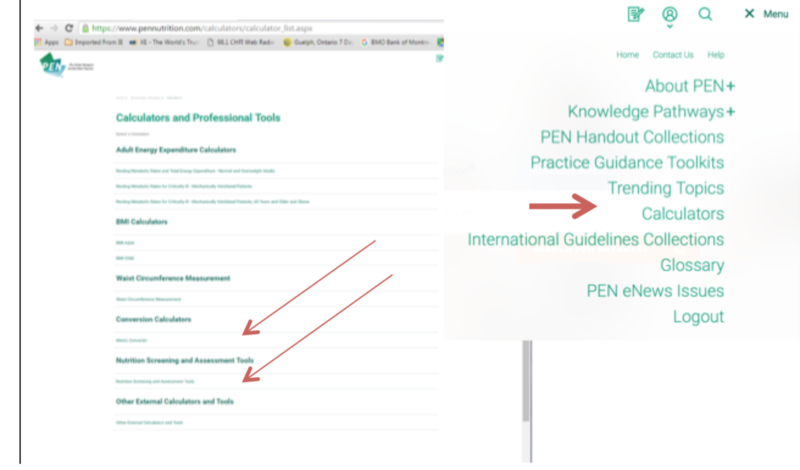 The PEN® System houses practice guidelines, policies and handouts from a variety of different dietetic associations. Though based on the same scientific literature, they all can vary because they also reflect the culture, health priorities and policies as well as the practice realities of that individual country. Peer review helps to ensure that practice-guidance considers these cultural and practice differences, while accurately reflecting the best evidence. During question identification for new content and during the question verification stage of updating existing content. During the review stage of PEN® content development including our practice questions, backgrounds, toolkits, evidence clips and trending topics. When practice questions are developed, we always try to involve both academic experts and practitioners who will be using the information. 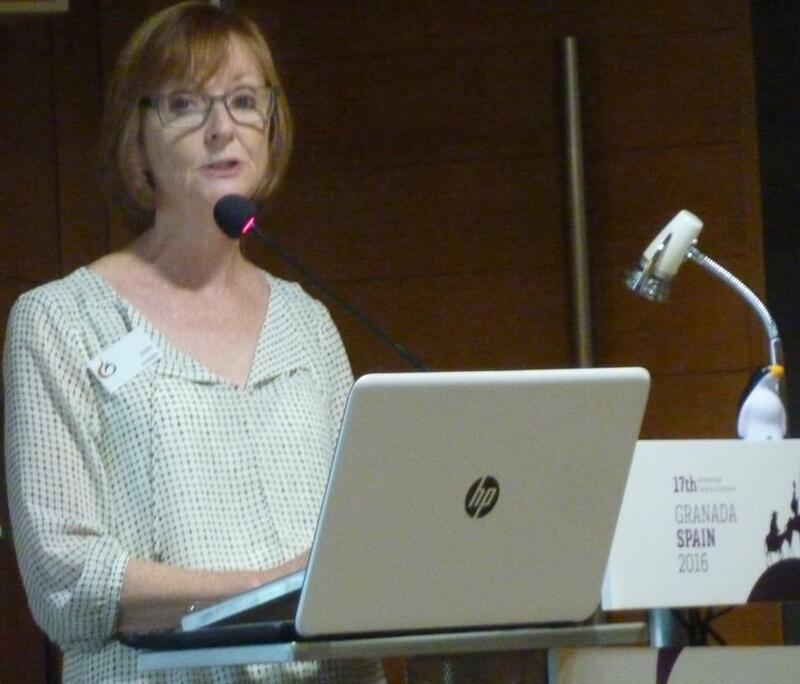 PEN aims to address real issues faced in actual dietetic practice. Incorporating peer review is part our PEN® content development processes, and is critical to be able to achieve this goal, helping to ensure that we are asking the right practice questions, and that the research is effectively translated into actionable and practical guidance. PEN has a PEN® Authors and Reviewers Guide, within which are tools and checklists to assist and standardize the peer review process (1). Included in the PEN® Authors and Reviewers Guide are guidelines to ensure peer reviewers are familiar with the criteria that authors have used to create their content. Similarly, authors are familiar with the criteria that their peers will use to review the PEN® content. Accuracy, clarity and conciseness of the content. Is the included content comprehensive? Are any key issues missing? Is the content valid, will it make an important difference to practice? Will this information be applicable in practice settings? Several aspects of references are reviewed and examined including objectivity, currency, inclusiveness and accuracy. PEN® peer reviewers are then asked to make recommendations for the PEN® content in question: accept as is, accept with minor revision, accept with major revision, reject. Reviewers are also asked whether they agree to be listed as a reviewer in PEN®. 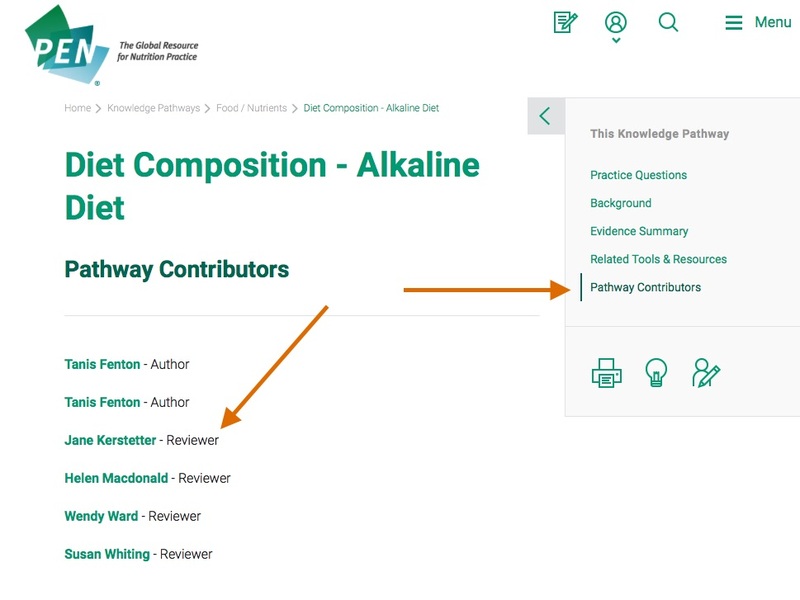 The PEN® System recognizes peer reviewers in each practice question under the link Pathway Contributors section of each knowledge pathway. PEN recognizes peer reviewers three times a year in our PEN eNewsletter, thanking our international volunteers for their peer review contributions to the PEN® content development process. Reviewers receive a thank you letter for their contribution and they can obtain a letter of contribution to PEN over a period of time that they define. Most regulatory bodies recognize reviewer’s contributors to PEN as part of their professional, continuing education portfolios. The PEN® System is pleased to support Peer Review Week, and applauds all dietitians and professionals who give back to their profession through sharing their expertise and perspectives through participation in peer review. Peer review helps to expand our current knowledge and is a gateway to expanding one’s knowledge, writing skills and encourages self-reflection of our own biases and assumptions. Our global PEN® partnership has benefited from volunteer efforts around the world. Please take a moment to read and acknowledge your colleagues who have served as authors, or peer reviewers for PEN® content since February 2016. DAA awarded its second ever PEN Evidence-Based Practice Prize in 2016. This prize is awarded to a member for demonstrating strength and commitment to evidence-based practice in a practice setting, particularly in challenging circumstances. Shelley was awarded the PEN Prize for 2016 for the project ‘Implementing Gestational Diabetes Mellitus (GDM) Guidelines into practice’. 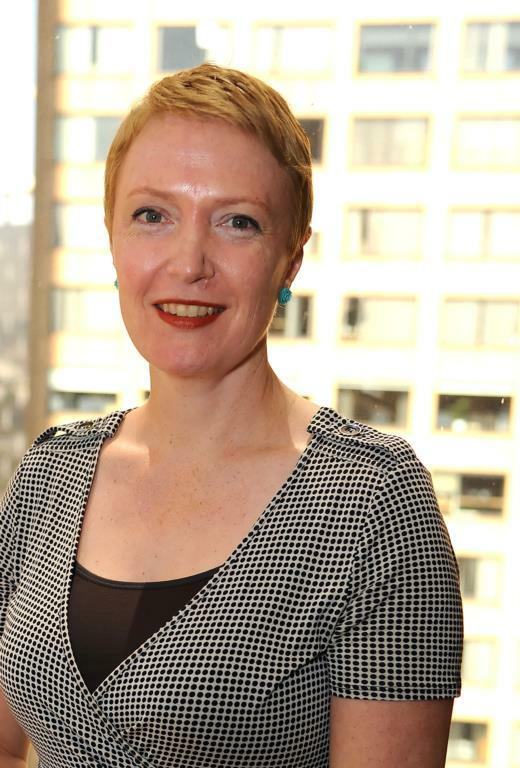 This project arose from the fact that there are no Australian GDM nutrition practice guidelines and the observation that many Australian maternal health dietetic services providing GDM care lacked a systematic approach to their health care, potentially resulting in poorer outcomes for women and their babies. Shelley’s prize winning project evaluated the implementation of a dietetic model of care based on American GDM Nutrition Practice Guidelines in an Australian tertiary Maternity Hospital. Following implementation of the guidelines, significantly more women received best-practice care, with clinically-relevant changes seen in medication requirements (fewer women receiving pharmacologic treatment). Unfortunately, due to a heavy clinical load (so many women with GDM entering the service), only a third of women in the new model of care received individual Medical Nutrition Therapy (MNT), which deviated from best practice (1:1 individualized MNT). This project illustrated the opportunities and challenges of conducting evidence based implementation research in routine clinical care. 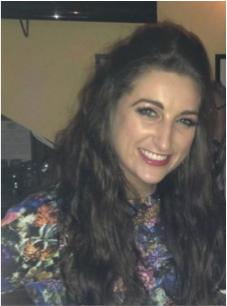 Following completion of the project Shelley has continued to advocate to address this gap in dietetic care and has been successful in gaining support to reorient funding within her dietetics service for ongoing service delivery improvement. This has led to a further increase in the number of women seen according to best practice and a maintenance of the lower medication requirements for women with GDM. Shelley is now assessing whether this model of care can be adopted in other facilities within the state, for eventual national adoption. We wish her all the best of luck with this ongoing work. Susan de Jersey, AdvAPD, was awarded a highly commended PEN Evidence-based Practice award for her application. Susan was awarded this for the implementation and evaluation of health service initiatives to prevent excess gestational weight gain. 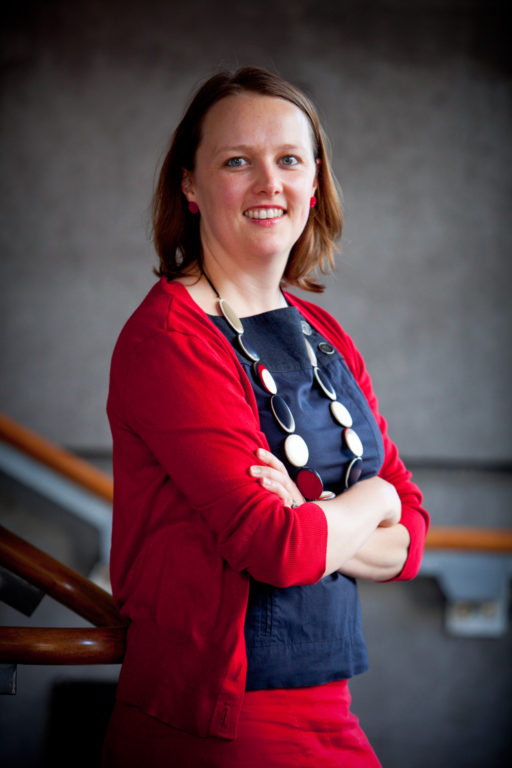 Susan developed a prospective observational study called the ‘New beginnings healthy mothers and babies study’. The study investigated maternal healthy eating, physical activity and gestational weight gain, and the psychosocial influences on these. The study found that adherence to dietary and physical activity recommendations in pregnant women was poor. Weight gain outside of recommendations was seen in 64% of participants. The majority of women did not know how much weight they should gain and were rarely spoken to by health professions about achieving a healthy weight gain. The study also found that many psychosocial factors with a positive influence on health behaviours were lower in women commencing pregnancy overweight and those factors with a negative influence on health behaviours were higher when compared to healthy weight women. Given these findings it was determined that there was a need for effective multidisciplinary intervention to manage gestational weight gain. Following the study, a multidisciplinary workshop was held to discuss options for local service improvement. This lead to the creation of an ongoing working party and implementation of new processes. Staff education, training and the implementation or pregnancy weight gain charts was introduced to address gestational weight gain. Susan will lead a team of investigators to evaluate these initiates in a research framework. The outcomes of this evaluation will be used to inform further implementation of initiatives across other services. Both of these recipients are excellent examples of how practice based research can lead to service improvements. de Jersey S.J, Nicholson JM, Callaway LK, Daniels L. An observational study of nutrition and physical activity behaviours, knowledge and advice in pregnancy. BMC Pregnancy and Childbirth. May 20;13:115, 2013. doi: 10.1186/1471-2393-13-115. This article was originally printed in Dietetics Today, a publication of the British Dietetic Association in April 2016. It is reprinted and adapted here with permission. Finding it difficult to keep up-to-date with the current evidence-base? There are a number of reputable information sources we can use to help support our dietetic practice. However, locating the information and finding the time to read through multiple journal articles, reports, guidelines and recommendations can be challenging and time-consuming. Ideal places to search for the current evidence-base include systematic reviews and meta-analysis through The Cochrane Library, NICE guidelines and up-to-date journal articles from PubMed and TRIP. This is where the PEN® (Practice-based Evidence Nutrition) System can help. PEN summarizes the current evidence-base for you, providing you with recommendations to help support you when providing advice and information to patients and clients. Log in to PEN to see how it can help power up your nutrition practice. Editor’s note: This article was written in April 2016. 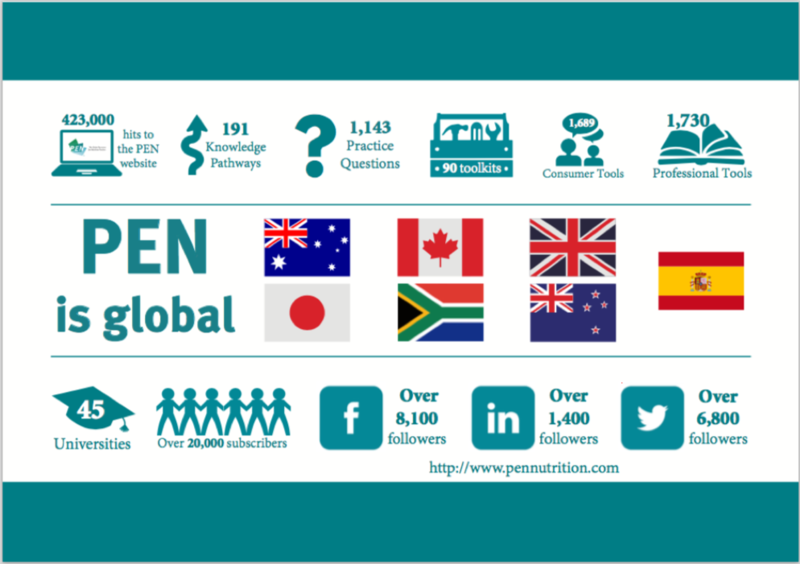 While these searches were not re-run at the time of publishing this issue of PEN eNews, these numbers remain illustrative of how the PEN® System can help dietitians locate evidence-based guidance for their practice-based questions. System to examine several nutrition issues in patients with COPD. The audience was impressed with the rigour of the PEN® process, and we have plans to get this content finalized and into the PEN® System soon. Thursday was another busy day for the PEN Global Team. In the morning, Jayne Thirsk (DC), Judy Bauer (DAA) and Sue Kellie (BDA), in their presentation, “Creating a Community of Evidence-based Dietetic Practitioners” described what the PEN® System is, how dietitians and nutritionists from around the world are now collaborating to create evidence-based content and how by sharing that knowledge through our PEN® eNews and social media outlets we can demonstrate the value of dietitians and nutritionists around the world. In the afternoon, we rolled up our sleeves and Jayne Thirsk, Judy Lawrence and Judy Bauer conducted an intensive GRADE workshop entitled: “Building Capacity for Dietitians to be Leaders in Evidence-based Practice: an Introduction to GRADE”. Jane Bellman, on behalf on the Raising our Healthy Kids videos Advisory Committee provided a short review of the video project that produced a library of 70 open access, 1-2 minute, high quality videos on a variety of nutrition and healthy living topics to support families with children up to 12 years of age, individuals and communities, to live healthier lives. The videos were based on best evidence through a collaborative approach with professionals and experts in the field. 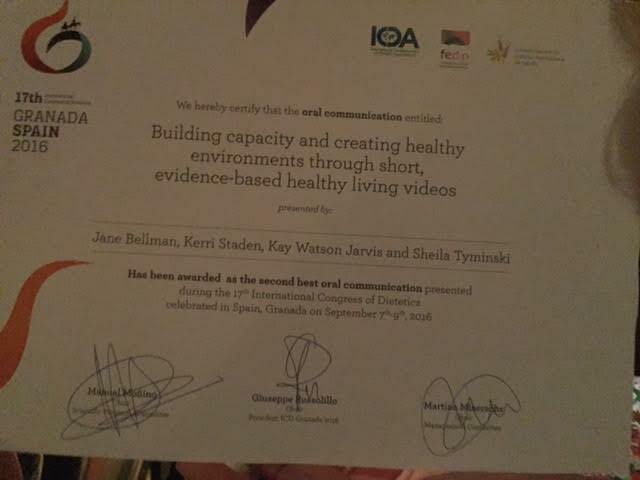 In the closing ceremony of the congress, the session was awarded second best oral communication (see announcements below)! 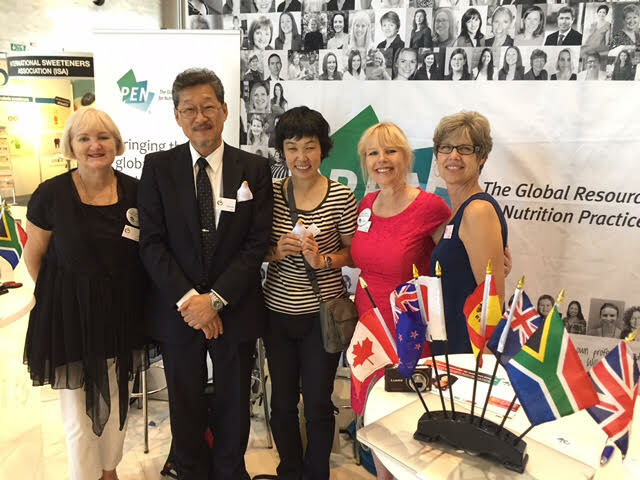 In the morning, Jayne Thirsk and Jane Bellman met with Drs Yasuhiro Kido and Miki Miyoshi to discuss further plans for the PEN® collaboration with the Japan Dietetic Association (JDA). The global PEN® team is looking forward to working with our Japanese colleagues. In the afternoon, Kerri Staden and Jane Bellman provided a summary of the PEN® Prac tice Guidance Toolkits through a showing of our new toolkit video, soon to be added to the PEN® System, and a case study example of a client with hypertension. Dietitians who use the PEN® toolkits in their practice can be confident that the information they are using, and the recommendations, along with tools and client resources they are providing, are based on current evidence and practice. The PEN® booth was available throughout the conference, and hosted by representatives from BDA, DAA and DC. The PEN® booth was a happening place! We made many connections and hope to have many more subscribers, practice question suggestions and new reviewers. More details to follow in future PEN® eNews editions that will include follow-up with ICD PEN® booth attendees, many of whom were from universities across the globe interested in accessing and reviewing for the PEN® System. Top tips to avoid liability for blogs and other online publications. Time to ditch diet books? The study describing objective markers of “systemic immune activation and gut epithelial cell damage” in people who have sensitivity to wheat without having celiac disease? A review of avocado pits’ health benefits and how dried and ground up avocado pits/seeds are not recommended for consumption? These are just two of our seven recently published Trending Topics in the PEN® System. Trending Topics is the section in PEN where we post the latest evidence-based responses to nutrition-related topics in the news. Despite media reports on the latest nutrition article, complicated questions about diet and health require evidence from many different types of studies over many years before the weight of evidence shifts toward consensus. Visit Trending Topics regularly for the latest evidence-based responses to nutrition-related topics. 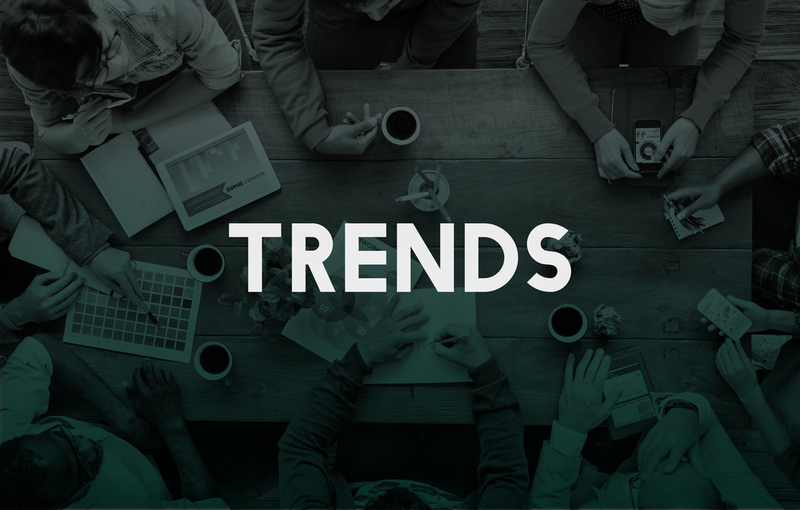 Here is how you can access Trending Topics and sign up for monthly content alerts. 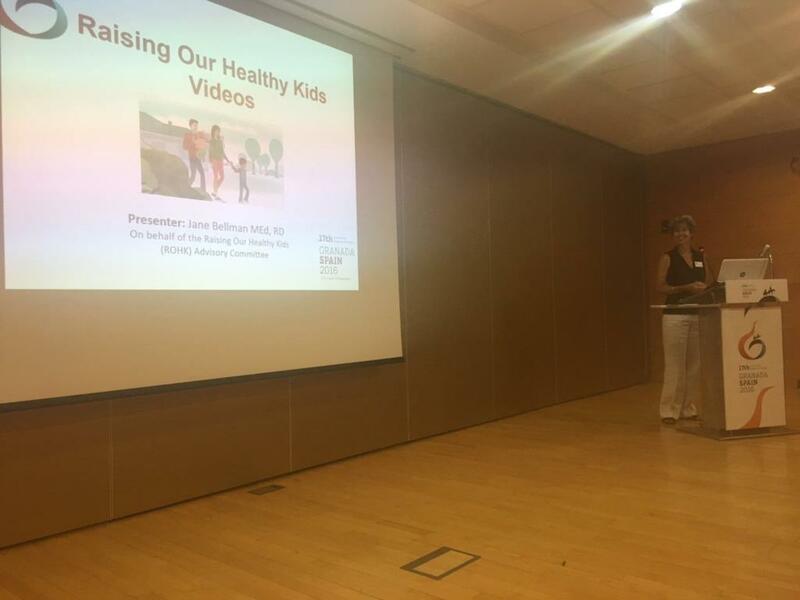 Congratulations to everyone who supported the Raising Our Healthy Kids video project. 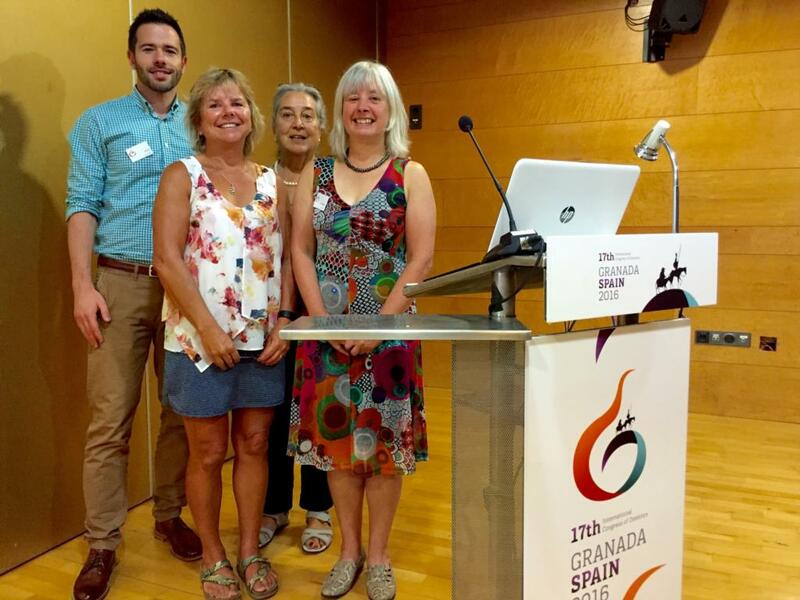 An abstract submitted by PEN® Resource Managers from Dietitians of Canada, Jane Bellman and Kerri Staden, along with Sheila Tyminski and retired dietitian Kay Watson-Jarvis to the International Congress of Dietetics being held in Granada, Spain in September has been recognized and awarded as the second best oral communication of the congress. Raising Our Healthy Kids is a series of 70, 1-2 minute videos providing information to parents and care providers on healthy growth and development of children up to 12 years of age. The videos were developed by a multi-stakeholder group including Dietitians of Canada and Alberta Health Services with input from physicians and community stakeholders across Canada. The nutrition videos are based on evidence and are consistent with information in the PEN® System and key messages from Dietitians of Canada and Alberta Health Services. The 25 nutrition videos have been translated into French with financial support provided by EatRight Ontario. Funding was provided by Government of Alberta, Calgary Health Trust, and Canadian Institutes of Health Research, and the videos were produced by Shadow Light Productions. Presenter, Jane Bellman and secondary author Kerri Staden were in attendance at the Closing Ceremony, on Friday, September 9, when the top six abstracts of ICD 2016 were announced. Congratulations to Jane, Kerri, Kay and Sheila and all involved in this recognition! The nutrition videos can be viewed in the PEN® System, attached to their relevant knowledge pathway, and they can be accessed in English and French on the Dietitians of Canada website . All 70 videos can be viewed on the Raising Our Healthy Kids site. The Dietitians Association of Australia will be Cultivating Fresh Evidence in Hobart for the 34th National Conference, 18-20 May 2017. This conference will explore three plenary themes – Nutrition Economics, Future Nutrition in Clinical Practice and Marketing and Nutrition Communication Debate, showcasing some outstanding keynote speakers. It will also be an opportunity to experience a new style of concurrent presentations. These two new, innovative presentation styles, which aim to inspire creativity in presenters and interest among delegates, include tabletop conversations (or Speed Geeking) and PechaKucha (Japanese for chatter). Not previously used at past DAA National Conferences, we’re excited to see how this new presentation style is received by attendees. The city of Hobart is also a drawcard for this event. Known for fresh produce, this conference will provide delegates an opportunity to taste and experience all that Tasmania has to offer. DAA’s 34th National Conference Social and Scientific Program Committee invites the submission of abstracts for consideration as oral presentation or a hard copy poster. Innovative and creative proposals are also sought for workshops and seminars. Visit the conference website for updates and keep an eye on DAA’s social media accounts for announcements over the coming months. We look forward to seeing you in Hobart 18-20 May 2017! The British Dietetic Association (BDA) will be holding its annual Research Symposium on the 7th December 2016. The BDA have been supporting research and encouraging dietitians to get involved in research by delivering a Research Symposium for Dietitians New to Research on an annual basis since 2004. This conference is an invaluable, useful day for practising, research dietitians and dietetic students to enhance their knowledge of the ongoing research in dietetics. 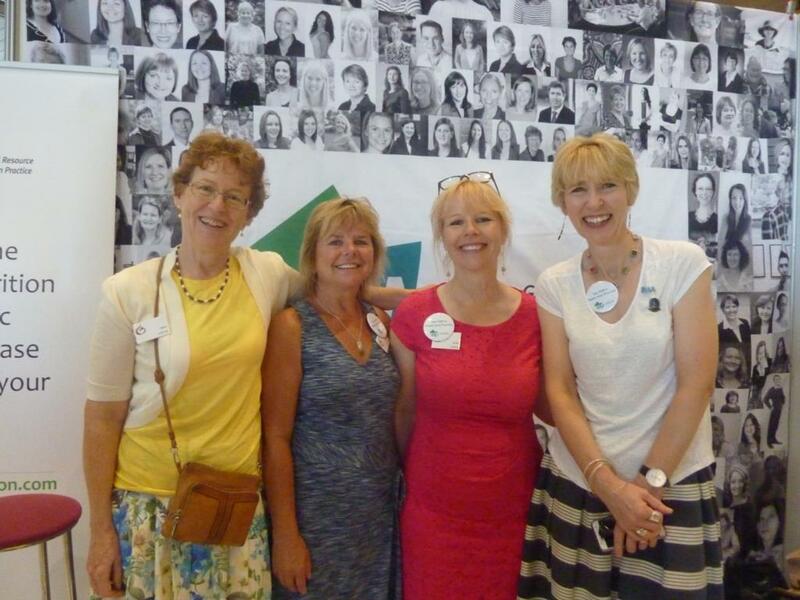 It also gives delegates the opportunity to network with a vast range of dietitians in attendance. Visit the BDA website for more information! The Dietitians of Canada (DC) 2017 Conference will focus on the key challenges, opportunities and learning needs facing dietitians in all areas of practice and strives to create an environment of engagement and action. Join us in St. John’s Newfoundland, the oldest city in North America with a rich history steeped in tradition where you can watch for whales, icebergs and spectacular rugged scenery. Visit the Conference website at www.dietitians.ca/conference for information to plan your trip and more!